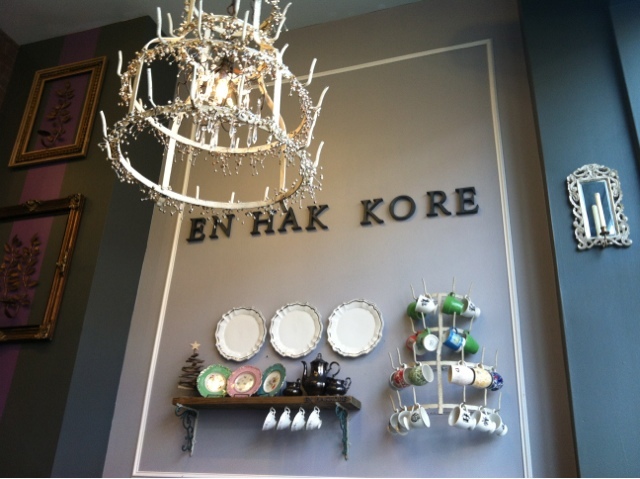 En Hakkore offers an adorable space with delicious, fast food. 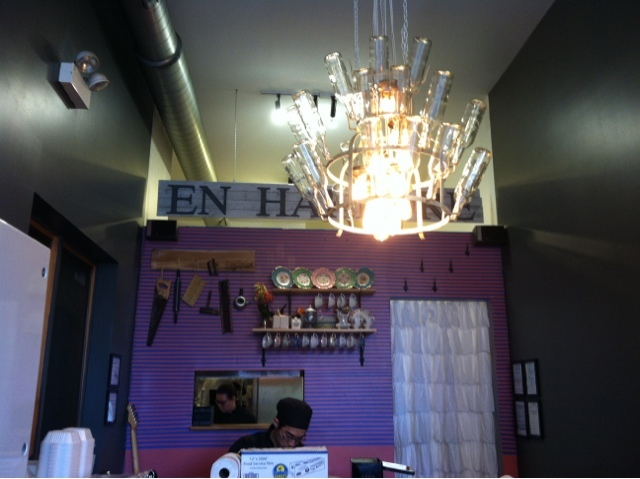 It has taken over Melt Sandwich Shoppe’s short lived home on Damen, just a few blocks north of the six corners. thebibim-bap; it looked wonderful! It isn’t easy ordering from this menu because everything sounds so amazing. It is also a menu that offers items that are not too common for quick service restaurants in the area. After mulling it over for a few minutes, we ordered the bibim-bap (with black rice and Korean barbeque beef), paratha tacos, and the tuna tataki twist roll (spicy tuna, asparagus, lettuce, sesame seed, jalapenos, with spicy mayo and garlic sauce). 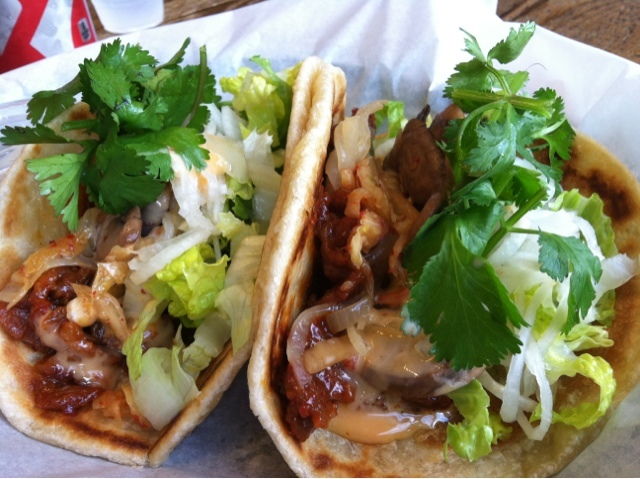 The bibim-bap and the tacos came out within five minutes… incredible! 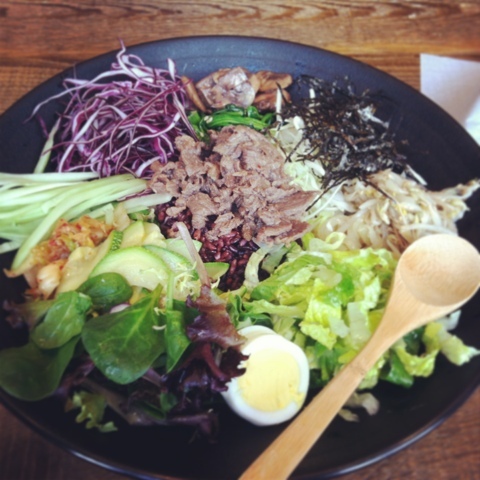 The bibim-bap features sixteen super fresh vegetables served with rice. This is such a refreshing, healthy, tasty dish that is perfect for sharing. We ordered the tacos with pork belly, and they are served with kimchi, mushroom, green onion, cilantro, lettuce, and pickled radish. These two tacos were enormous; the ratio of ingredients was just right and using the paratha to hold it all together is genius! Still working on the bibim-bap and tacos, our tuna rolls came out. Like everything else, these rolls were so fresh and flavorful. 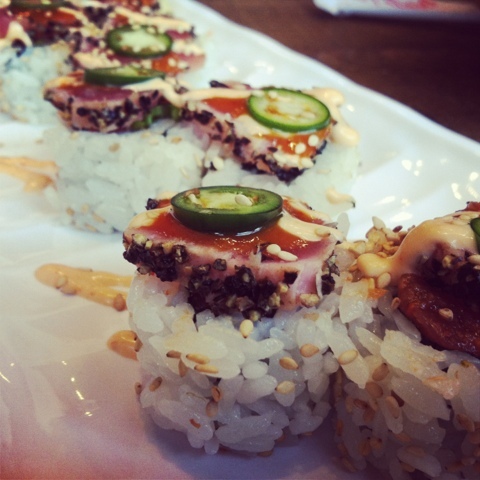 The pepper crusted tataki tuna that came on top of the roll was delicious. 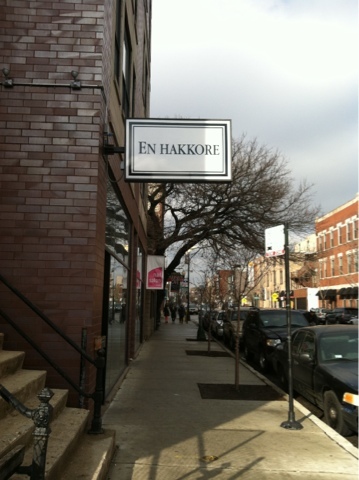 The food is delicious and inexpensive, the space is charming, and the service is fast and friendly; this is such an excellent addition to the neighborhood. I admire every aspect of Misung Jang’s (owner) concept for this restaurant so do yourself a favor and stop in!